LG G4 Dual SIM, The dream gadget for multitasking featuring 5.5”-inch qHD display, Android Lollipop, 16-MP+8-MP Camera and Qualcomm Snapdragon 810 SoC finally launched in Indian market priced at Rs 51,000 in Black, Brown, Maroon, Blue, Gold, and Yellow colour option. It will counter Apple iPhone 6 Plus, HTC One M9 and Samsung Galaxy S6. The all new LG G4 Dual SIM supports Dual SIM, 4G LTE-A with tri-band carrier aggregation, HSPA+, Wi-Fi 802.11 a/b/g/n/ac, Bluetooth Smart Ready (Apt-X) 4.1, NFC, SlimPort, GPS/ A-GPS, GLONASS, and USB 2.0. offers you a 5.5-inch QHD IPS display with resolution (1440×1560 pixels) and a pixel density of 535ppi offers you crystal clear wide-angle view perfect for watching movies, playing games and reading e-books. LG G4 Dual SIM is powered by a powerful 64-bit octa-core Qualcomm Snapdragon 810 SoC with Adreno 430 GPU and 3GB RAM and latest Android 5.1 Lollipop OS with LG’s new UX 4.0 on top makes your multitasking a fun and gives superior gaming environment and allows to run your apps smoothly. It comes with 16GB, 32GB and 64GB storage variants with 128GB microSD card support including 100GB of Google Drive storage free for two years. LG G4 Dual SIM sporting a huge 16-MP Primary Camera with dual-LED, laser autofocus, f/1.8 aperture and optical image stabilisation (OIS+) for shooting in low light condition while 8-mp front camera best for clicking selfies and making video call. LG G4 Dual SIM is packed with a powerful 3000mAh battery with fast charging features which allows you charge your smartphone 60% on 40 min. It measures 149.1×75.3×8.9mm including innovative features like Gesture Shot, Glance View and Gesture View. 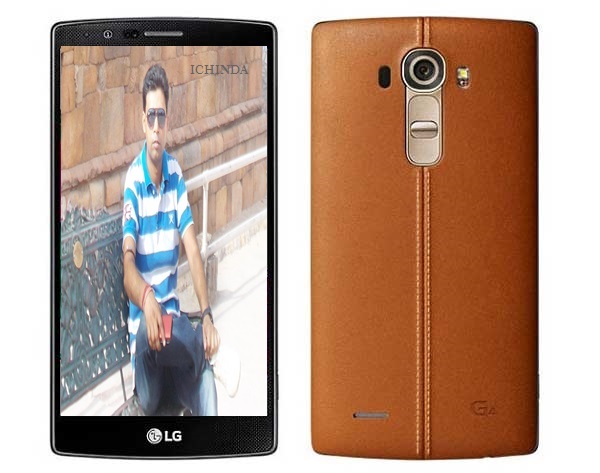 LG G4 Dual SIM Rivals Apple iPhone 6 Plus, HTC One M9 and Samsung Galaxy S6.